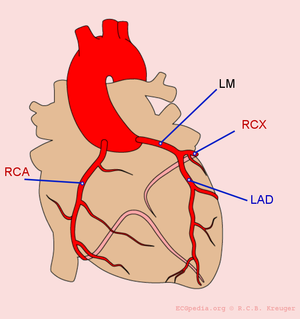 Which coronary vessel is occluded? Click on the ECG for magnification. Check the chapter on myocardial infarction if you would like to review the ECG characteristics of the possible occlusions. Click on "answer" for the results of the angiography. This page was last edited on 22 January 2010, at 22:00.